IN FACT NEW MOON IN SAUDI OCCURS AT 15.03 ON 15TH OCTOBER AND SUNSET AT17.56 ON THE SAME DAY ie, SUN SETS AFTER 2HOURS AND 53 MINUTES AFTER NEW MOON WHICH CONFIRMS THE END OF DHUL QA’EDA AND COMMENCEMENT OF DHUL HIJJA AT 15.03PM IN SAUDI ARABIA . THEN HOW CAN 1ST OF DHUL HIJJAH BE ON 17TH RATHER THAN ON 16TH? PLEASE NOTE THAT THE FIRST 10 DAYS OF DHUL HIJJAH IS SANCTIFIED BY ALLAH AND ONCE THE DAY IS CHANGED THE PERSON WHO CHANGES THE CORRECTNESS OF THE DAY IS DEEMED TO HAVE DIS-HONOURED THE SANCTIFIED DAYS AND IS HENCE BOUND TO FAST FOR 10 DAYS AS RANSOM FOR DIS-HONOURING THE DAYS . WITH THE CONDITIONS THAT THE GEOCENTRIC CONJUNCTION OCCURS BEFORE SUNSET AND THE MOON SETS ONLY AFTER SUN SET. COULD AND THE QUR-ANIC INJUCNCTIONS AND THE PROPHET”S WAYS BE CHANGED FROM TIME TO TIME ACCORDING TO THE WHIMS AND FANCIES OF RULERS AND ULEMAS……? Ok so we are day “behind” in the UK? because saudi have to start dhul hijjah on the wed 17th as they are on day 30 dhul-qidah. Is there any chance that eid can be on thu 25th in the UK? Salam. 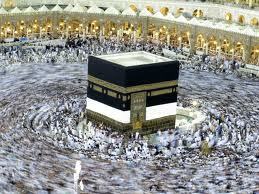 I think because this is the Hajj Eid most people will celebrate it on the same day. Check with your local Masjid/Islamic centre to see when they will do Eid and follow them I guess. Moonsighting has been confirmed as well so everyone should be doing Eid on the same day insha Allah.